The chairman of the St. Kitts Music Festival Committee, Damion Hobson, reaffirmed that the nightly cut-off hour for the St. Kitts Music Festival will be 1 am. 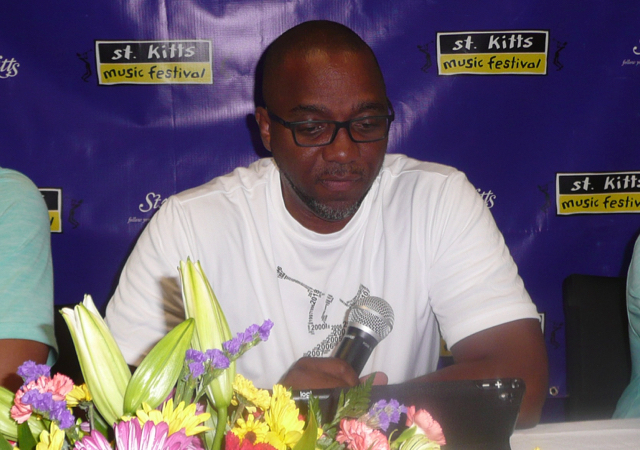 Speaking at a St. Kitts Music Festival (SKMF) press conference on Tuesday, 5th June, Hobson said that commitment has been made to allow patrons to take part in fringe activities taking place on the nights of the concerts. “That means we have to have an on-time start. It is our intention to open the gates at 7 am, one hour before the show starts,” said Chairman Hobson, who indicated that there will be pre-show entertainment. The chairman is sending out the alert to come early, because, unlike in past years some of the marque performers will appear early in the show. “We want you to get your money’s worth,” said Chairman Hobson. In other Music Festival matters, the chairman provided brief updates. He said also that ticket sales through the online sales facility were going well. The chairman informed that the schedule for Fringe Activities is already printed, and can also be seen on the website, the StKittsMusicFestival.com and see the Fringe Activities scheduled for the month of June.